80% of people in the U.S. will experience some form of back pain (also called “sciatic pain”) during their lifetime. That’s far too many days spent sitting on the sidelines and struggling through daily tasks. What might be causing your back pain isn’t always easy to determine, in part because most back pain starts days — sometimes even weeks or months — before the first symptoms ever show up. This can make it difficult to connect the pain back to its root cause. We do know things like sports injuries, car accidents, inactivity, obesity, and poor posture are some of the most common culprits. What are some preventative measures you can take to ease the tension in your back? Exercise at least twice each week. You’ll strengthen the muscles in the spine as you improve flexibility and balance. Unsure where to start? Try some gentle yoga to begin. Drink water! Half your body weight in ounces is a great guideline. When you’re sitting down for long periods, incorporate breaks. Be sure to stand up periodically and spread your weight evenly on both legs. Consider supplementing with vitamins D and k2. Be sure to ask your doctor before starting any new regimen. Stretch before bed. If possible, sleep on your side. Stop smoking. We’re all aware of the cardiovascular health risks — but did you know smoking also lowers the blood flow to the lower spine and promotes degeneration of the spinal disks, too? More great reasons to give up the habit. Sometimes, though, we all struggle with an aching back. When it comes to treatment, the most common course of action is to simply take a “wait and see” approach — in most cases, back pain will resolve on its own within a month. Many people also find relief through acupuncture, chiropractic care, or perhaps anti-inflammatory herbs such as ginger, curcumin, and Boswellia. And there’s another mode of treatment you may have heard about that can be amazingly effective…a tennis ball. 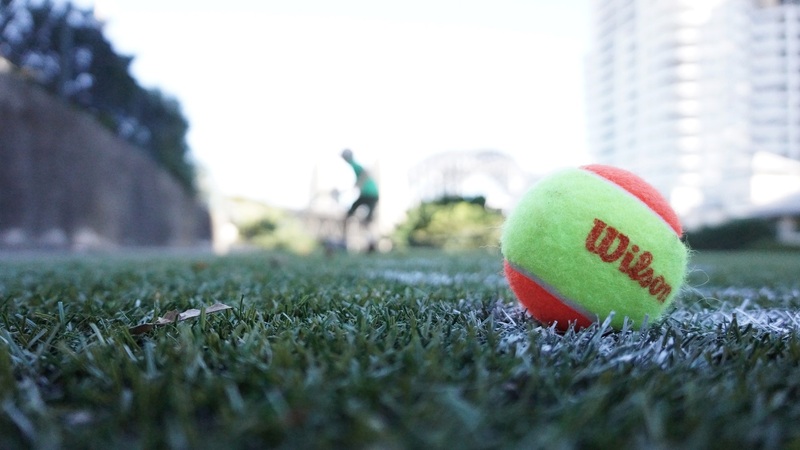 How does a common tennis ball relieve your sciatic pain? It presses and treats the trigger points in the piriformis muscle, located beside your sciatic nerve. As your body weight presses into the part of your back that’s causing you pain, your muscles will relax and release. You’ll also improve your mobility and increase circulation. It’s empowering to take charge of your own healing journey as you combine the benefits of massage, acupressure, and reflexology. You’re relieving muscle tension and soothing your sore muscles — all with a tennis ball. Massaging your body with a tennis ball is what’s called “self trigger point therapy,” because you can administer treatment yourself, and, it can be done in the comfort of your own home. As this treatment method grows in popularity and information continues to circulate, it’s very important to make sure you’re doing it properly. 1. Lie down on the tennis ball. 2. Adjust the tennis ball so it’s right at the painful spot on your lower back or glutes. 3. Relax and roll up and down on the ball, holding the ball on the most painful spot for 30-60 seconds. 4. Move the tennis ball on to the next painful spot, and repeat. Total time spent: 5-10 minutes. Similar to when you get a deep tissue massage, you might experience pain initially — but don’t worry, you’ll soon feel relief. What if you’ve tried the preventative measures, done the tennis ball therapy, but your back still isn’t feeling better…now what? If you have persistent back pain, you should always see a medical professional when symptoms start affecting your daily living. Planning life around your symptoms or putting activities on hold due to pain are clear indicators it’s time to make an appointment or call our office at (949) 397-6699 and discuss a personalized treatment plan. Chiropractic care and gentle adjustments of the spine can help reduce your pain; massage therapy eases the tension in your muscles and increases blood circulation. The combination of the two is especially effective and ongoing treatment can help you maintain good posture, improve your range of motion and keep your spine aligned, thereby putting an end to your back pain once and for all. This article is for informational purposes only. It is not a substitute for in-person advice or care from a medical professional.